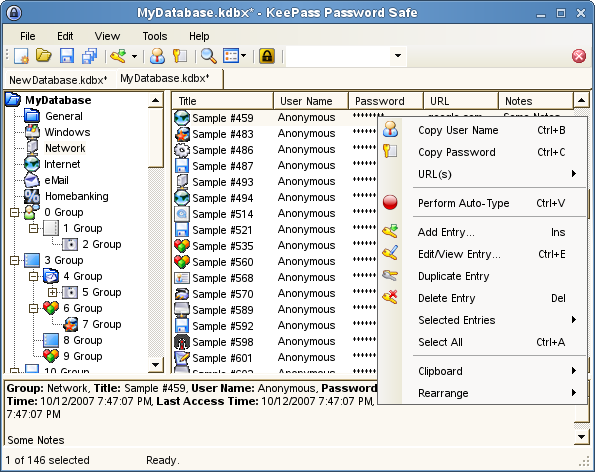 KeePass is a free, open source, light-weight and easy-to-use password manager. You can store your passwords in a highly-encrypted database, which is locked with one master password or key file. If you need more information please contact the developers of KeePass 2.x for Linux (SourceForge.net), or check out their product website.